Many of you already know how much I adore Barbie and I feel as if the universe has been conspiring ever since I was invited into the Bob Mackie showroom to collaborate with him on my giveaway and other future projects I cannot wait for. I was especially excited when I heard Barbie was collaborating with Lincoln Center’s new public space, the David Rubenstein Atrium for NYFW. 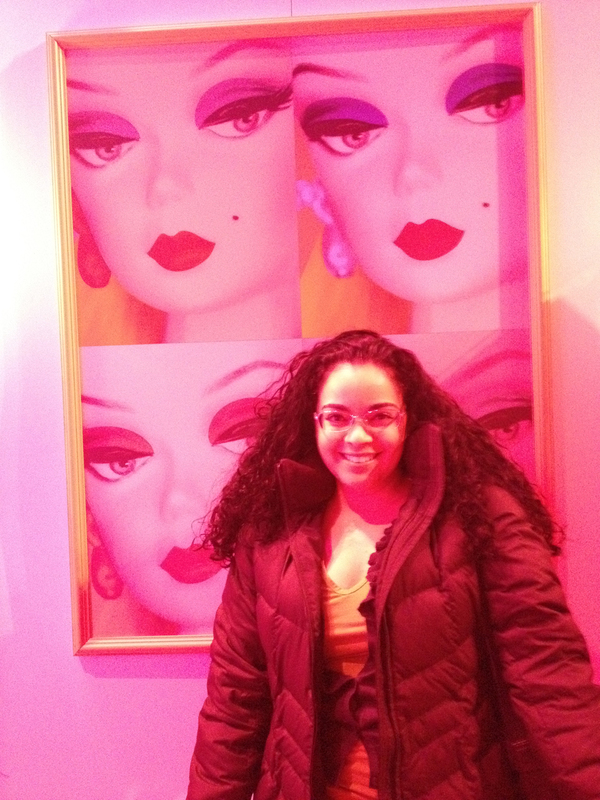 The collaboration was called “Barbie‘s Dream Closet” and I wish I was able to attend their opening party but I can’t complain as I was able to go and see it 2 days out of the 4 days it was open. 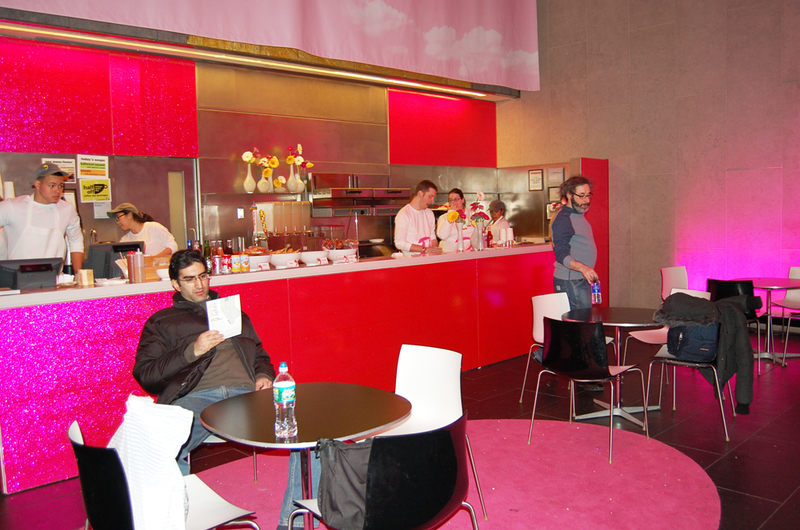 I cannot tell you how amazing the decor was, they had done such a wonderful job turning this space into what felt like a Barbie dream house. I swear I wanted to live there. 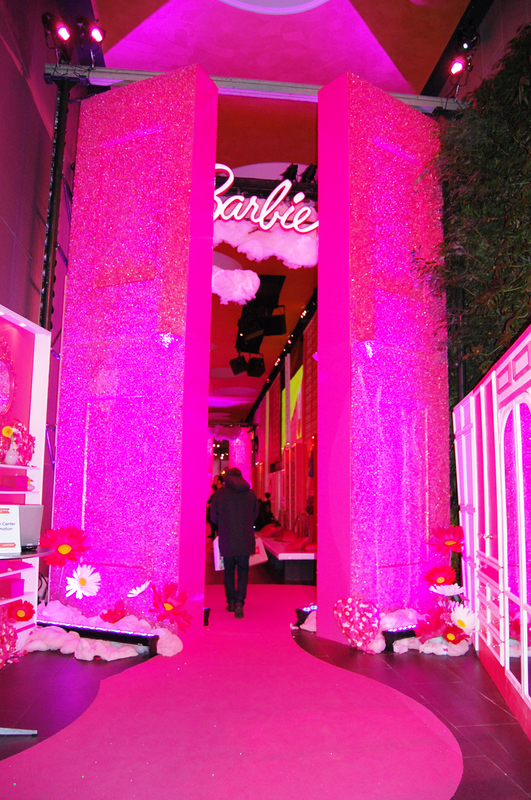 Everything was pink and sparkly and there were life-size Barbie mannequins in classic Barbie attire. 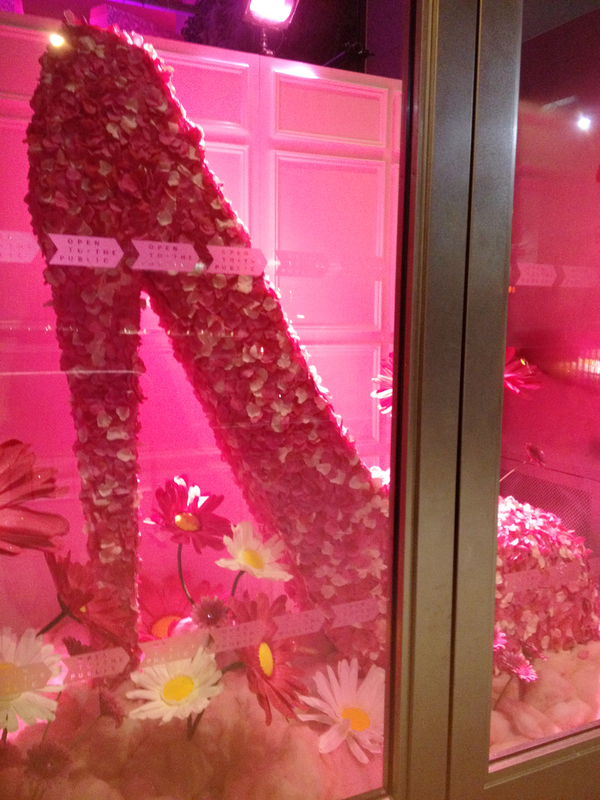 Shoes and clothes adorned the walls and flowers rose up from the marble floors. See how poetic I am getting talking about this place? 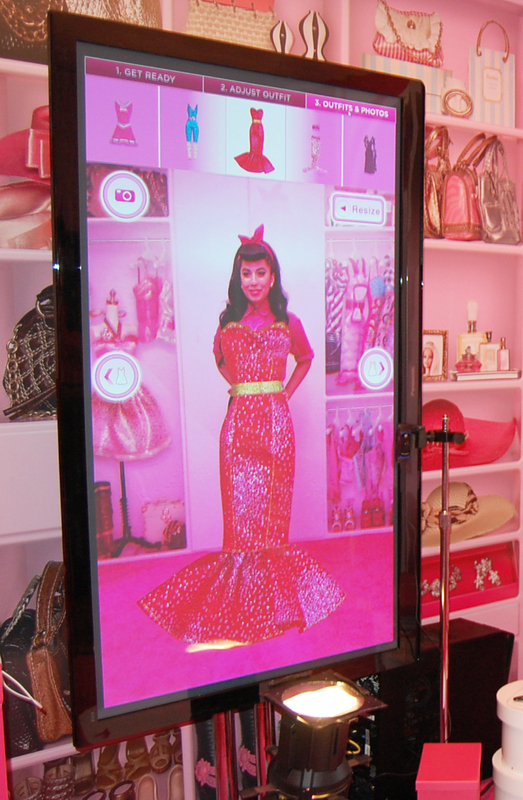 The staff was even amazing and treated us so nicely as we tried on different outfits at Barbie‘s virtual closet and got our pictures taken. I swear I had a Clueless moment and had wished I had a virtual closet of my own so it would be easier to pick my outfits every day lol. The first time I attended I went with my aunt, dressed like Barbie of course, and you are going to see our pictures in this post. We had such a fun time there and it was so relaxing that we were able to just sit and talk there for a few hours as there was seating and a cute little cafe inside. It was ironic too because I remember fondly the times I played with my Barbie‘s at her house as a kid and how she would always take me to FAO Schwarz to see the beautiful Barbie‘s there. It was really nice to see her because we are very close but she lives kind of far. 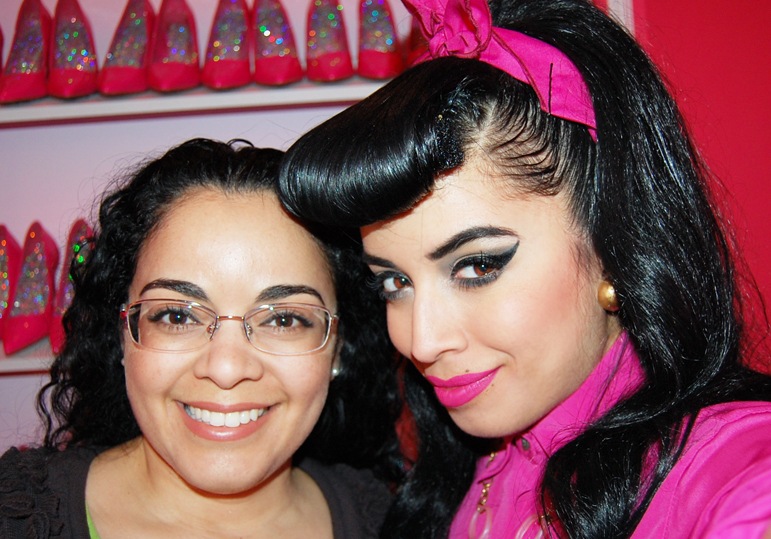 The second time I went with friends right after the Betsey Johnson fashion show. The second time I attended and brought my friends I actually met two lovely ladies that work for Mattel who were SO SWEET. I felt the universe was conspiring again as it is one of my dreams to collaborate with Barbie even if it meant interning for 5 years lol. Not that I would have to intern for 5 years but if that is what it would take, I certainly would do it. 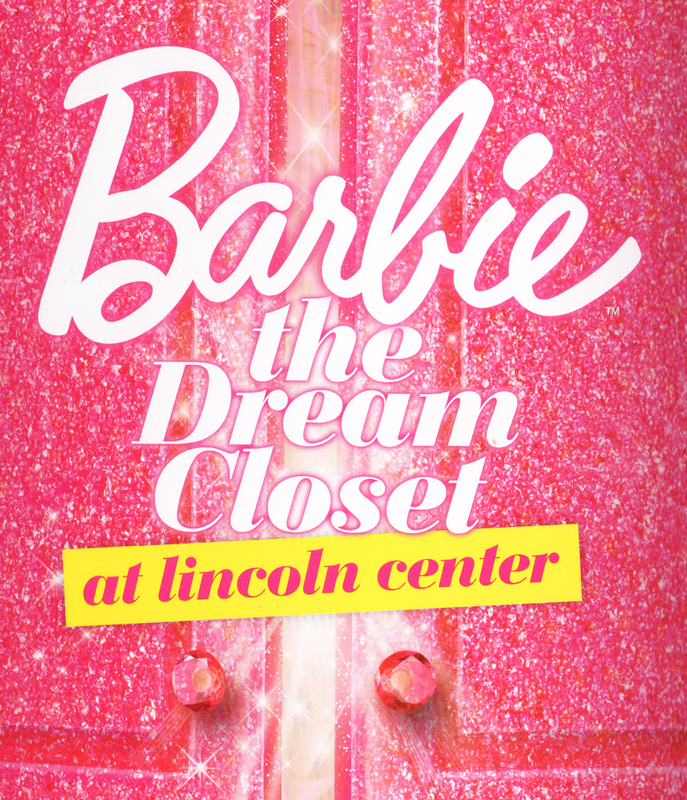 If you didn’t get to see the amazing job Mattel did with Barbie‘s Dream Closet at the Lincoln Center Atrium, you must see the photos I took inside! This poodle was the first thing I saw upon finding out about this pop-up Barbie Dream Closet walking home from a party at the Empire Hotel. 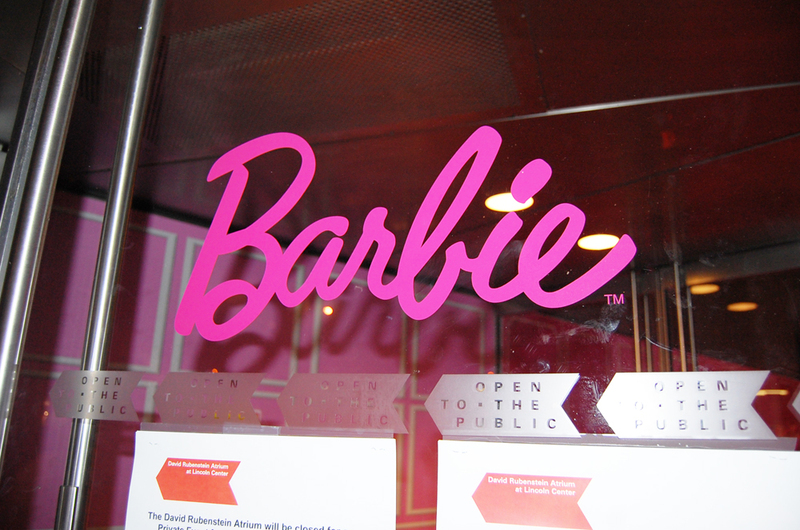 I died when I realized it was Barbie and had to come back the next day with my aunt when it was open. I’m ready! First thing I spotted. 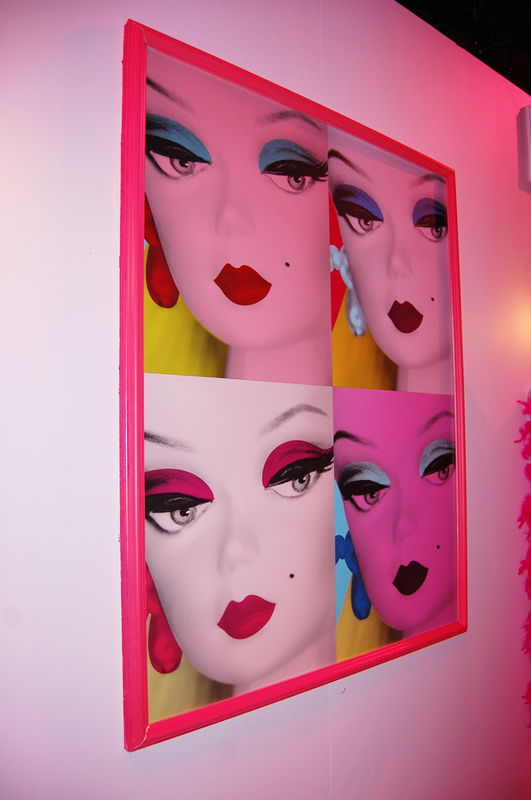 This beautiful Warhol inspired Barbie canvas. I need this in my life! I died! Of course I went dressed like Barbie. Would you expect any less from me? lol. 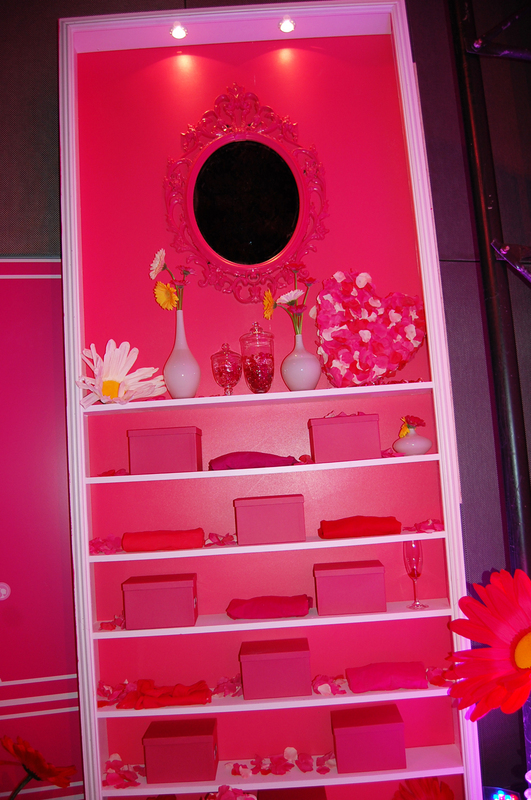 Everything was pink! This is my super cute aunt, I love her to death. Oh the anticipation! Daisies everywhere! Ok, I need my closet to look like this. I am so inspired. This is what heaven looks like. 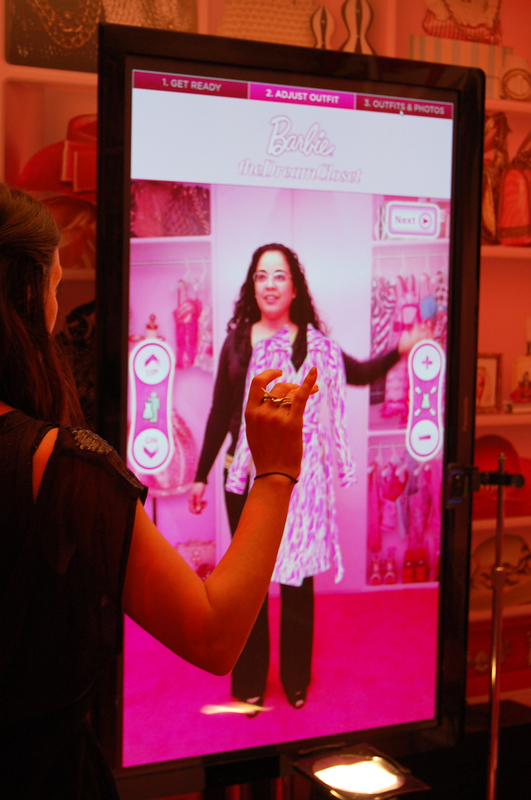 This is Barbie‘s virtual closet where they take photo’s of you in Barbie clothes! Cute Barbie‘s everywhere. I felt like a 5-year-old girl again seeing these costumes everywhere. It was FAO Schwartz all over again and all I wanted to do is be fairy princes Barbie, hitting people on their heads with my pink wand of feathers. My aunt and her Colgate smile. :D life-size Barbie‘s in classic Barbie attire! I was hoping these shoes were for sale! SOOOO pretty! Look how sparkly the insoles are! I was rockabilly Barbie in a vintage hot pink blouse, my Bernie Dexter black cigarette pants, Zara construction wedges, a vintage belt, and vintage scarf. My necklace is a pink scissor from Dangerous Mathematics back when it was open. You know the vintage Barbie was my favorite. Loved this mannequin too. Look at that fro! I love that you could just lounge here, have a bite to eat or have a great conversation with friends. ❤ I love my aunt, what would my life be without you! Pinup posing! Remind me to Mod Podge my walls like this k? Off to the virtual closet! My aunt was hilarious. What makes this closet cool is that you get to pick the outfits! lololol! That’s the one! My turn! lololol This was my first pick but you know I had to do this twice! 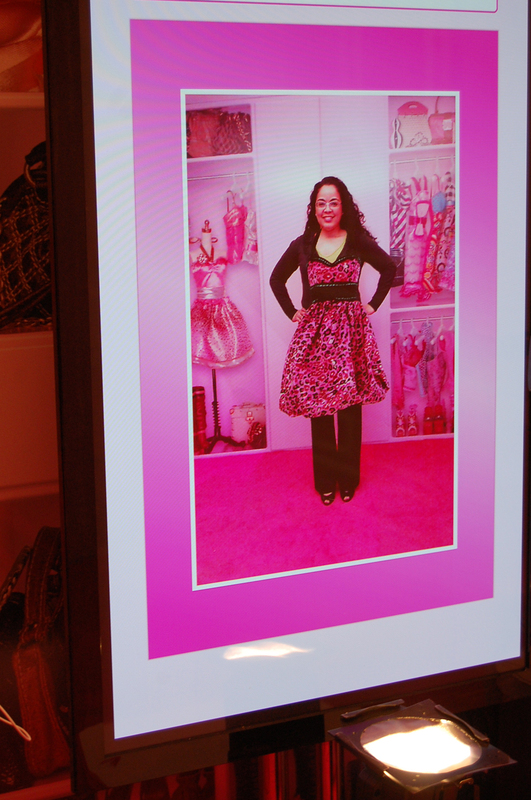 How wonderful to have our pictures taken for free in great Barbie outfits! Here are my two prints below! What a great time! 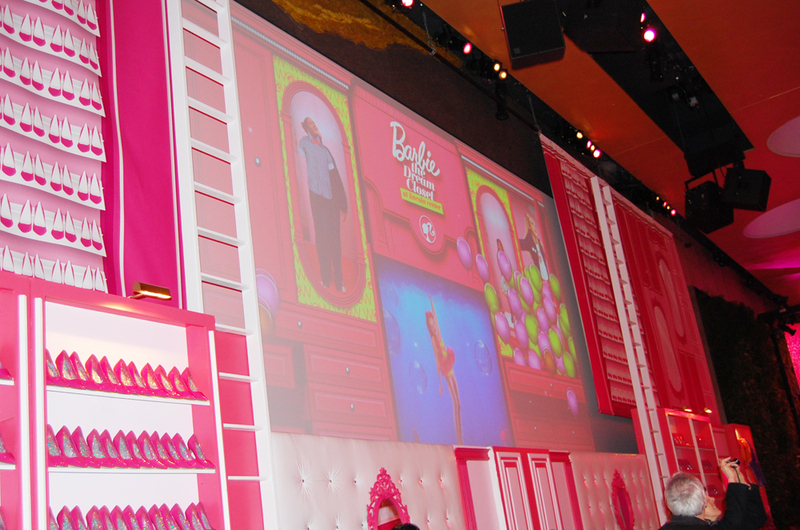 Barbie‘s Dream Closet definitely made my fashion week super sweet! 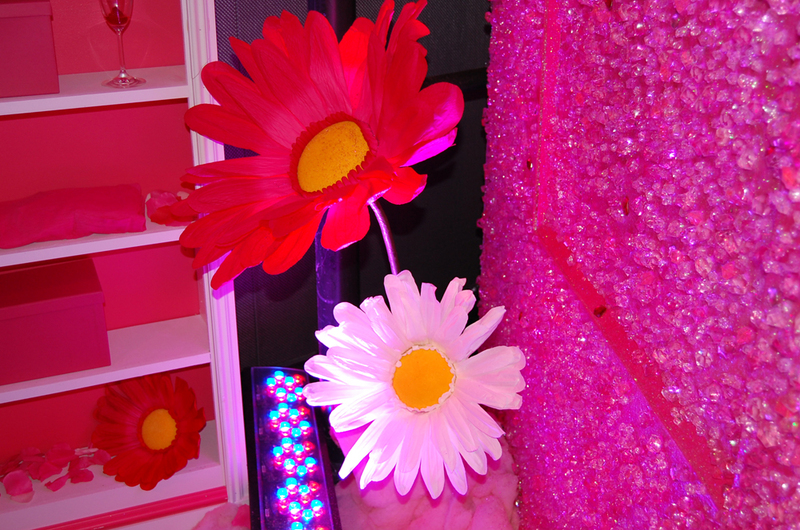 Check out BARBIEWOW.com for more info on Barbie and other events! 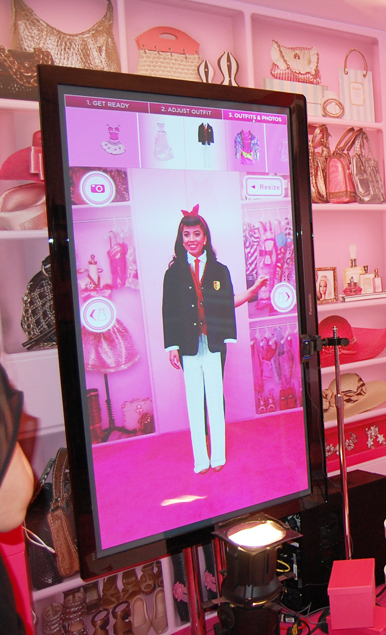 That virtual closet looks so fun, great exhibit! Wow, I’m so jealous! I looove the afro barbie! Wow. I cant believe i missed this :(. I love your outfit! The high waisted jeans are amazinnngg. I was wondering if you could recommend some high waisted jeans like the ones youre wearing. Its really hard for me to find ones that fit well all around. Thank you. 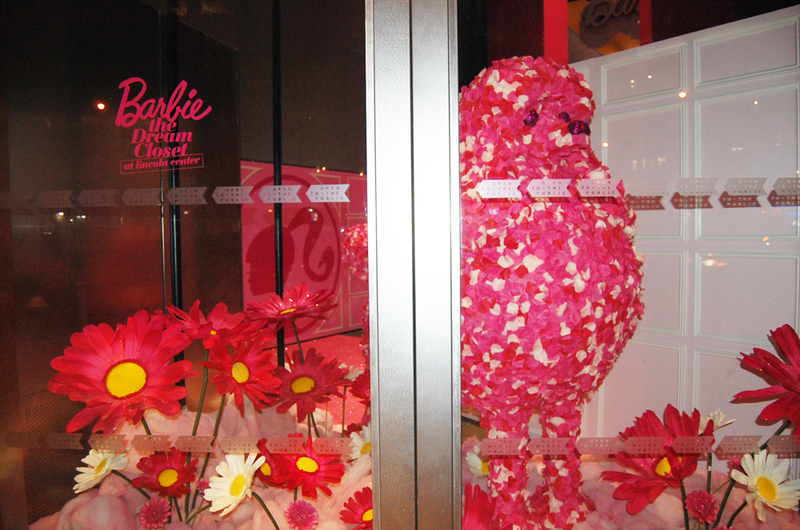 You now have to visit Fort Lauderdale, Florida (or Germany) to see the complete Barbie Dreamhouse. Much more than a closet, but has that same interactive as shown in the pictures. This exhibit is set to be here for a very long time.